Why should I stick with Vista? A couple of months ago I got a brand new laptop from HP, the Compaq 6715b, which came with Vista Business pre-installed. At the time they didn’t offer a Windows XP version. Usually I steer clear of new Windows operating systems until they’ve gotten a service pack or two out, giving them time to work out all the kinks of the new system with their huge beta testing public. However this time I needed a new laptop quickly and it was the best specification for the price that I could find, so I thought sure I’ll give it a whirl and see what it’s like. Since then I have been using the system pretty intensively and have been slowly tweaking and adapting it to the way I work. 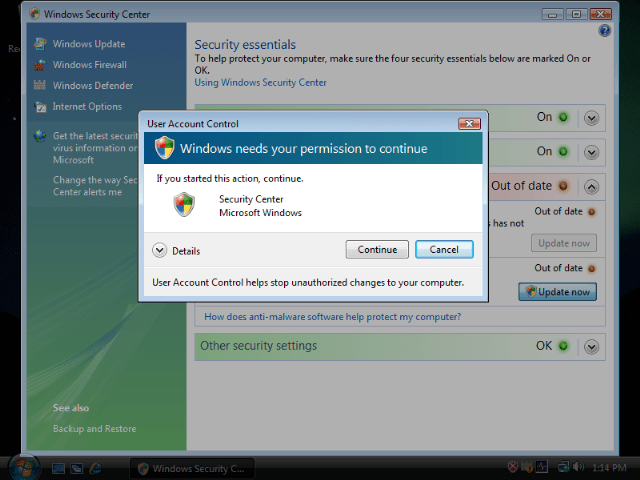 I am at a point now where I am finding it difficult to justify continued use of Windows Vista. In my head the advantages and improvements are not outweighing the problems I am finding. I made sure to get a decent enough machine, figuring that Vista would require a bit more power to get it running well. In that regard I felt the HP6715b was well kitted out and for your information I’ve reproduced the more crucial elements below. Using Microsoft’s new “Windows Experience Index” the laptop scores a “Base Score” of 3.0, which is low due to the graphics card not being a dedicated one. The processor scores 4.8, RAM scores 5.9, and the primary hard disk scores 4.9. For example I plugged in a Canon S900 printer and it installed the drivers with no need for me to go looking for driver files. This is a useful little addition. However this functionality could be replaced by a third party application. 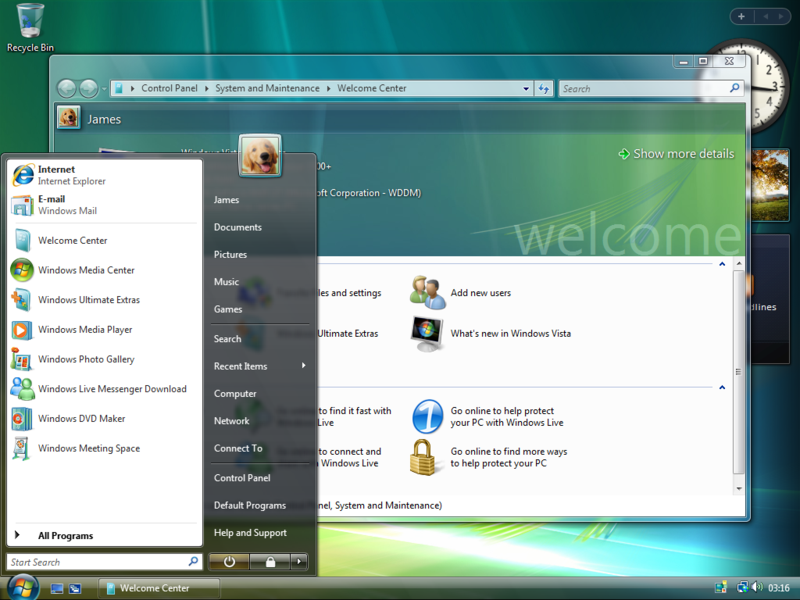 I admit I do use the application search function in the start menu to launch a good few application. However I use Google Desktop for this on XP when I am not using HotKeyBind to launch applications. Improved Task Manager and addition of Resource Monitor. Improved Battery, Network and Sound implementation in the task bar – albeit a little unresponsive. Is that it? Is that all I can think of? Surely this is too short a list for something 5 years in the making? However, for the time being these are the only things that I can remember having liked and noticed during my daily use of the laptop. The GUI looks nicer granted, however I have long had different styles applied to Windows XP which has completely satisfied me visually. The Aero effects that have received the most air-time are the new Flip task switching and the window transparency, neither of which I use out of personal preference. Windows Sidebar? I prefer Google Desktop. 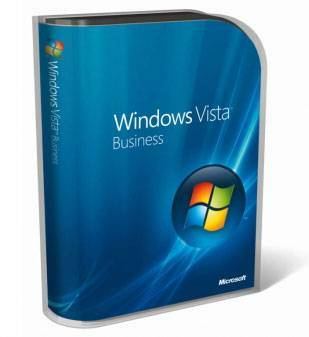 What’s bad about Windows Vista? This is incredibly frustrating. I generally use the details view, but constantly find myself opening a folder I have recently visited to be presented with large icons grouped in some way I never requested. This is something noted by Chris Pirillo when he presented his reasons for leaving Vista. This is one of the main issues I’m having with this operating system. I can’t shake the feeling that everything is running slower than it should be. As stated above, the specifications of this machine are fairly decent, and I can’t shake the sensation that everything from start up to application launching and application switching is taking longer than it should. Firefox is much less stable than it was on XP, and granted this is not Microsoft’s fault, it does affect my computer usage immensely. Conversely, I have used IE7 a reasonable amount and have found it to be unstable and liable to crashing. o access my media player when I start it up, to every single network configuration change that I make (which I frequently do), to my needing to install Xampp outside of the program files folder and messing up my saved locations in my FTP programme due to UAC getting in the way of running Apache. Overall UAC really is just annoying. Alt-Tab inconsistent! This is such a basic thing and it’s glitchy. Sometimes it will only allow me to move to the next window, point blank refusing to cycle through all open applications. Sometimes it seems to switch to a window but act as though I had just pressed the Alt key in that window, moving the focus to the menu bar. Dropping characters. When I switch to a new window it seems to frequently ignore the first letter I type on the keyboard. This is incredibly frustrating on instant messaging programs. When I first started up my laptop I was amazed by the sheer number of explorer window instances that seemed to be required. I tackled this by installing the incredibly useful QT Tab Bar, which groups all those explorer instances into tabs in one explorer window. Getting to grips with the networking in Vista feels like a much more confusing system than XP (which in turn was in my mind much more complex than Windows 2000 – which just worked!). It all seems to be working now, but I can’t shake the feeling that I may have opened things up more than necessary just to make it easy to share files across our home network. To be fair, in general I like this new feature as it feels a lot more useful and snappier than XP’s standby mode. However, there have been one too many occasions where it has failed to return from Sleep mode and ultimately I’ve had to force the system to start from scratch, losing my session.This defeats the purpose of Sleep for me – whenever I am about to place the system in sleep mode I am inclined to save all files and make sure I am in no danger of losing anything. This is a minor gripe about a nice idea that fails due to lack of proper planning. The explorer side bar now features the option to have multiple locations saved for quick access. Nice idea, though not a new one.This feature works ok, you can drag folders into it, you can reorder them (although you can’t group them). However, when you go to a save dialogue the Favourite Links are re-ordered in some arbitrary system I don’t understand. So my familiarity and recognition go out the window and I’m lost trying to find the folder I need. I’ve been using Vista on my home laptop since it shipped, and can say with some conviction that nobody should be using it as their primary operating system — it simply has no redeeming merits to overcome the compatibility headaches it causes. Whenever anyone asks, my advice is to stay with Windows XP (and to purchase new systems with XP preinstalled). I could go on and on about the lack of drivers, the bizarre wake-up rituals, the strange and nonreproducible system quirks, and more. But I won’t bore you with the details. The upshot is that even after nine months, Vista just ain’t cutting it. Maybe you could freshen up XP with some of Vista’s visuals, but leave intact its menus and control panels, its functional networking, and its broad hardware and software support. You know, the things that people actually need to get their work done. Call it “Windows XP Reloaded” or something clever like that, and tack on $30 to the price tag for your trouble. So, I’m asking the question, can anybody tell me why I should stick it out with Vista? There are only a few things I can think of that are advantageous, but I feel there are so many more reasons to move back to XP.